Simplify your workflow and get everyone on the same page with this must-have app for teams. It's easy to lose track of what you're working on, especially when you're managing a team of people. Make your next project go over smoothly by keeping everyone on point with the help of Task Pigeon. Get a lifetime subscription on sale now for 89% off the retail price! Task Pigeon knows how hard it can be to get tons of people to work together. That's why it has simplified the process into a system that works for everyone. 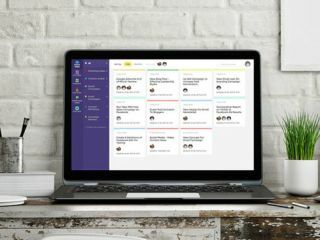 With support for an unlimited number of team members, this app keeps everyone on the same page. See who's working on what, when it's due, and easily communicate with one another. No task will ever slip through the cracks again. Task Pigeon will change the way you work, and you can get it on sale now for just $59 (approx. £47). That’s an 89% saving off the retail price for a service that will overhaul your workflow, so grab this deal today!